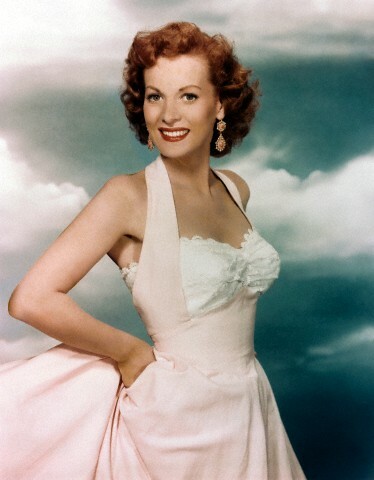 Irish actress Maureen O’Hara, pictured here in the 1950s. Hundreds of people stood waiting, excitedly chattering. A line wrapped up and down an alley at least four times and stretched out to Hollywood Boulevard. When the doors to El Capitan Theater opened, people walked briskly, some even running, to get a good seat in the theater. I waited in line for 2 hours and was the twentieth person in line. The excitement was for a 93-year-old woman. But not any woman, Irish screen legend Maureen O’Hara. At this past April’s Turner Classic Movie (TCM) Film Festival in Los Angeles, O’Hara made a special appearance before a screening of “How Green Was My Valley” (1941). TCM is now honoring the Irish actress as July’s Star of the Month. Red-headed O’Hara started her film career in 1938, starred in several films directed by John Ford and was John Wayne’s most frequent leading lady. Her red hair and green eyes dubbed O’Hara with the nickname “Queen of Technicolor.” Her film roles varied from serious dramas, swashbuckling pirate films to westerns. In “How Green Was My Valley” (1941), the story of a Welsh mining family, O’Hara played Angharad. O’Hara’s character falls in love with the new minister, played by Walter Pidgeon. 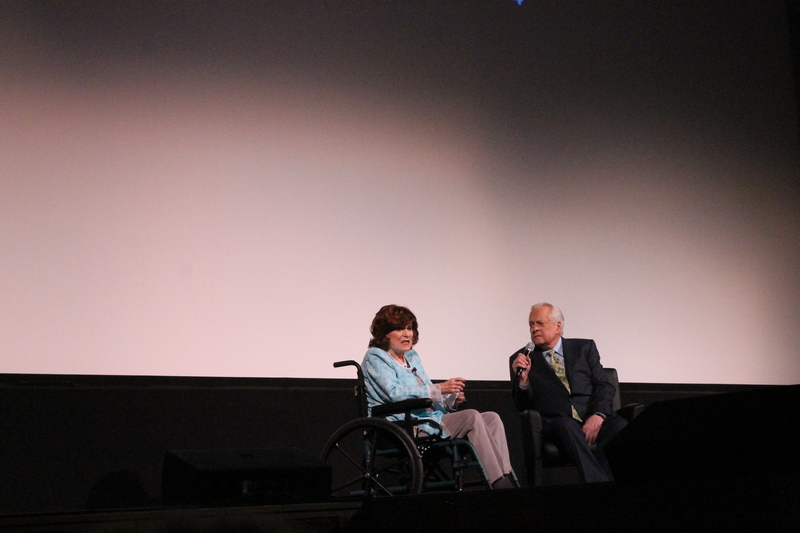 Before the screening of O’Hara’s first John Ford film at TCMFF 2014, she was brought out onstage to discuss her life and career. 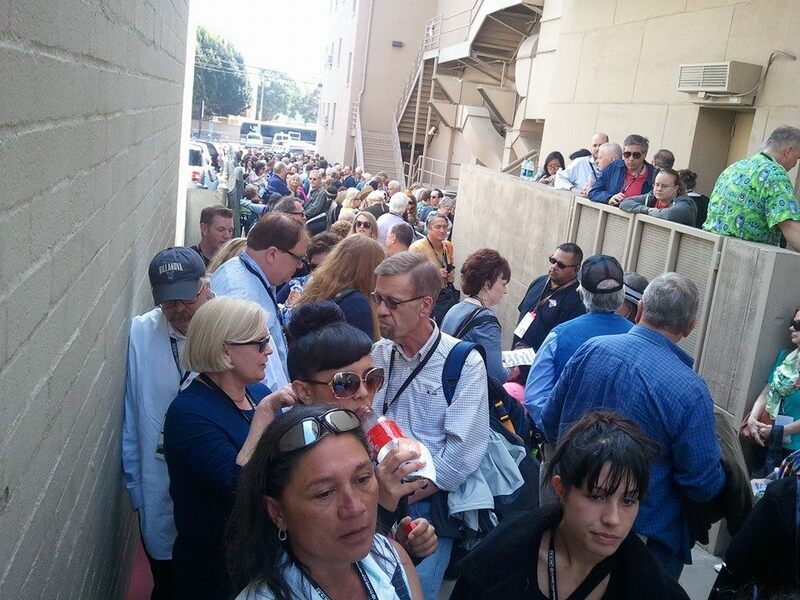 The line to see Maureen O’Hara outside the El Capitan theater in Los Angeles. The audience exploded with applause and O’Hara was given a lengthy standing ovation. Several people around me were wiping tears from their eyes. She modestly motioned from her wheel chair for everyone to sit down. 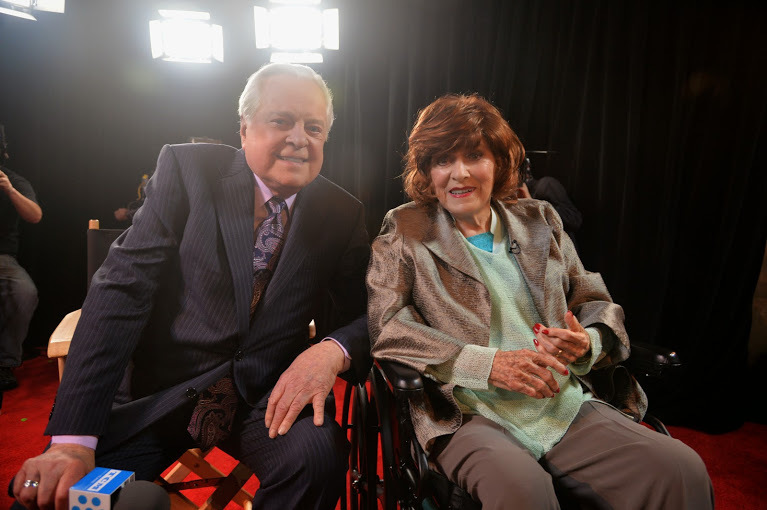 “I see a tear there,” said TCM primetime host Robert Osborne to O’Hara on stage. Osborne interviewed O’Hara before the film, but kept it to 10 minutes so he would not tire her out. She was interviewed the next day in the Roosevelt Hotel lobby. The lobby of the historic hotel is transformed into “Club TCM” during the festival. “Don’t laugh and applaud and think it means nothing,” she told the audience. Osborne first asked about her relationship with director John Ford. “I thought I was here to talk about me,” she said with quick wit. Her mind was sharp and her voice sounded the same, just older. However, it was obvious O’Hara was weak in her old age. The classic actress turns 94 in August. O’Hara discussed God and religion and hoping she was able to live way beyond the years God gave us on Earth. “So many of us (classic actors) have passed and are in heaven, and so many of us are looking towards heaven,” O’Hara said. She said God is listening all the time and listening to see if he can catch you doing something you aren’t supposed to be doing. During the interview a woman coughed or sneezed in the crowed and she asked her to stand. The embarrassed woman stood up and O’Hara simply wanted to bless her. Though O’Hara is elderly, as film fans, we sometimes don’t think about the age of our favorite stars or silver screen heroes. We know them as they are in their films and forget just how old or frail they may be. It was a privilege to see O’Hara and some of the other classic stars in person at TCMFF. But also it was almost a little sad. It’s another reminder that the classic film lover’s reality actually fantasy. And O’Hara reminded us of this when she told the audience that even though she was an actress, we shouldn’t be fooled into thinking she is magical. “Don’t be fooled in to thinking I do magical things,” she said. Though O’Hara says she doesn’t do magical things, the ethereal feeling she gives her fans when she appears on screen is nothing less than enchanted. This entry was posted in Turner Classic Movie Film Festival and tagged Maureen O'Hara by Jnpickens. Bookmark the permalink. Wonderful write-up! I’ll always love O’Hara! Wonderfully wrote and am I jealous in a nice way. I’m practically in tears when I watched the 10 minute clip on TCM of her interview. I wanted to be one of those lucky people standing so close to her. Always one of my faves and probably due to the fact that she appeared in so many films that I wanted to see as a kid because of the leading man like Duke. Couldn’t help but fall in love with the beautiful leading lady just like her co stars.